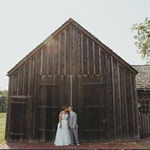 Join us Sunday, March 31st from 10am to 4pm for the Alexander Majors Barn Wedding Showcase! For the third year in a row, we will be popping-up some of Kansas City’s most unique & creative wedding vendors in the historic Alexander Majors Barn, one of KC’s top wedding venues. Meet with photographers, caterers, florists, bartenders, jewelers, invitation, dress and accessory designers and others who want to help you put the perfect, unique touch on your special day. Vendors will be offering special discounts and giveaways to all attendees!